I was really disappointed with all the command hooks. On several occasions my paintings have fallen and photo frames have broken. When I've tried to remove the strips from the wall on every occasion the paint from my wall has come off with the strip. 3M Command Jumbo Hook - the hook for the big job! 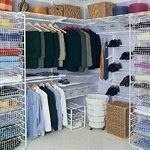 I love to be organized especially since I homeschool my children and we're always hanging things on the wall, storing things in baskets or looking for a new spot for the latest project they have created. I've been using many varieties of Command Hooks for a few years now and love them all, but I have to say I'm very happy with the 3M Command Jumbo Hook. I had recently started organizing my laundry room and had also bought some large wooden responsibility charts for my kids. 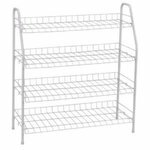 I took on two projects at the same time and had three items (2 responsibilty charts and a large step stool) that I needed to find a spot for. I decided it was time to utilize some wall space, but I didn't want to put nails in the wall. I was able to find the 3M Command Jumo Hooks and they worked perfectly for both jobs! They are easy to put onto the wall, the directions are simple and they've held up. The other thing I love about these hooks and all Command hooks is that they allow you to utilize wall space behind doors and inside cabinets that you never knew you had! These hooks were great for my kids to hang their backpacks (light, they're only in preschool) and coats on. Then I tried to remove them to paint our mudroom. EVERY tab broke when I pulled it. Then I had to pry them off the wall and it took the top layer of drywall off. I patched and painted the wall. Figured I would give the hooks another chance. The hooks fell off within 2 days and took the new paint and dry wall off. I called the company and the rep said "oh no, don't ever pry them off. you can get them off with dental floss." ok.. well.. doesn't say that anywhere on the pkg and clearly this has been an issue if they already have a way to solve it. As for the reapplication of the hooks after painting. Per the rep, you are suppose to wait 7+ days after painting. Doesn't say that anywhere on the pkg either. This product doesn't do what it says. It definitely doesn't have the ease of use as they claim. Yes they are temporary and leave no holes, but they do leave damage that has to be patched anyway. Not worth it in my book. This product worked well up until they reached the approximate 6 month mark. I have many broken/damaged wall art pieces. Honestly within the last week+ I have had candelabras, posters, full length dorm mirror, etc all within the specified weight limits all of which have fallen and been either broken or damaged. I am very disappointed with this product and I will NEVER purchase them again! It has caused more damage than good! NEVER AGAIN!! The Jumbo Hook Provides Me With An Extra Wash Cloth Hanger. I had our bathroom remodeled and I really had a lot more places to store shampoo, soap,wash cloths and conditioner. The only problem was the places designed to hang your wash cloths was where they stayed wet from the shower water hitting them. With new tub and shower I did not want anything that would damage the new fixtures.So I tried the new 3m command jumbo hook. I love this hook. It holds my wash cloth and it does not stay wet. The hook stays in place without any problem. I was a little worried about it is doing well in the damp enviornment. It has never come loose. It stays in place very well. I have never tried to remove it to see if it has damaged the shower wall so I am afraid I can not give you any advise concerning that aspect. I am afraid that if I did remove it it might not hold as well the next time. 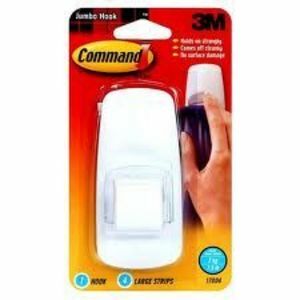 I do think that you would be very happy with this Jumbo 3m Command Hook. I know that I have. The whole genius behind Command products is the ability to have a something with a very strong adhesive up indefinitely, but be easily removable without any damage to the surface. Command makes mounting strips, hooks, and mounting strips made especially for hanging pictures. I have two of these jumbo hooks on the back of my bedroom door. It is amazing the amount of weight they can hold. We hang robes, damp towels, jeans by the belt loop, hooded sweatshirts, etc. We have had up to three items on each hook and they don't budge. The Command adhesive is so strong. These would also be great as towel hooks in a bathroom (I believe you can even get some in a chrome-like finish). You can't beat the price, especially compared to hardware hooks. But the best thing about these hooks is that when you don't want them up anymore, you just pull the Command strip from underneath of a hook straight down, and it detaches from the wall very easily without leaving any residue. Command Jumbo Hooks will hook you! 3M does not disappoint in its line of Command hooks and strips and the Jumbo hook is proof of that. I keep these handy hooks in my pantry for easy access and they have come in handy in so many situations. With two babies in diapers right now, I had two diaper bags that were taking up the entire coat hanger. No more! I hung two Jumbo Command hooks and voila, nice organized spot for my diaper bags and our coat rack actually gets used for coats! One of my diaper bags is a large one too that I keep supplies in for both children. It's fairly heavy and it's been hanging on that hook for over 45 days now with not one issue. I love it! These are great for use anywhere, though. Use it for a coat hook at work, a towel hanger at home, or even to hang that Christmas wreath. It works on all of it, and the beauty of it is that it leaves no marks, holes, or damage to the walls in any way. This is a superb product and I highly recommend it. Wow! 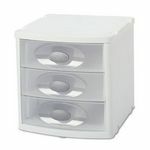 These things will hold! I sleep with a C-pap machine every night and most nights I end up getting in a fight with my hose because it seems it's trying to choke me. I thought of everything to keep the hose out of the way. 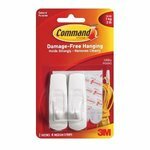 I was in a home repair store one day and came across the 3M Command Jumbo Hooks and thought they might just keep me from being choked in the middle of the night. Usually my husband is the one that comes up with all the great "light bulb" ideas in the house so I decided I was going to have my idea done by the time he got home. I put the 3M hook on the ceiling in my bedroom and I tied a cord around my hose where I wanted it to hang. I crossed my fingers hoping the jumbo hook would hold the weight of my hose and it did! Since I've put it up I no longer sleep in fear of my c-pap hose choking me while I'm getting some zzz's. When the 3M Command hooks say they will hold a certain amount of weight they really mean it because my hook has been on my ceiling for over 8 months with my c-pap hose hanging from it. And yes, my husband was very surprised, but wished he would have thought of it!